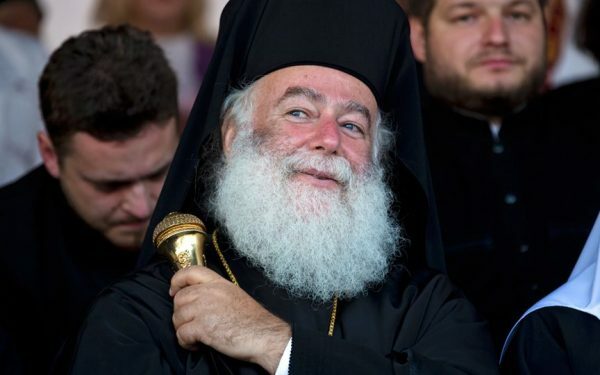 His Holiness Patriarch Kirill of Moscow and All Russia has sent a message of greetings to His Beatitude Theodoros II, Patriarch of Alexandria and All Africa, on the occasion of the commemoration day of his patron saint. I cordially greet you on the occasion of your Name Day. Over forty years ago, you committed yourself to the intercession of the great Protomartyr Theodore Tyron. Strengthened by the help of this saint of Christ, you stand before the Lord’s altar and preach peace to those who were far away and peace to those who are near (Eph. 2:17). Prayerfully sharing your joy on this day, I wish you spiritual and physical strength and God’s abundant help in your further Patriarchal work.